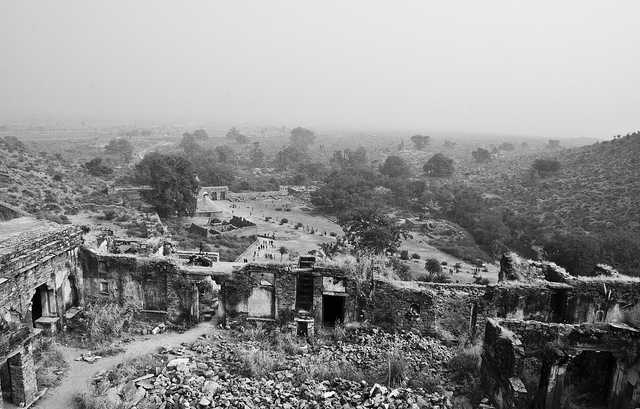 The abandoned fort of Bhangarh is seeped into centuries of legends that speak of the forts being haunted. As a result of which, entry is restricted legally after sunset till sunrise. There are many stories that revolve around the fort, all of which claims that the town was cursed to extinction and doomed to remain uninhabited. It is one of India’s most famous ruins and Bhangarh is one of the most visited. 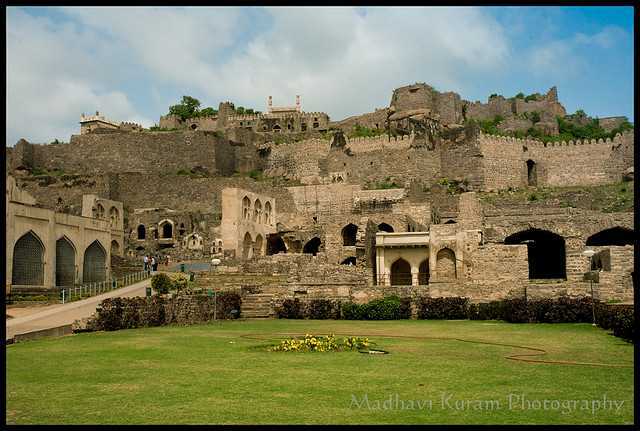 The fort has many gates, temples, havelis within its territory and gives out an eerie feeling. The locals swear by the legends and claim of paranormal activities that takes place at night. 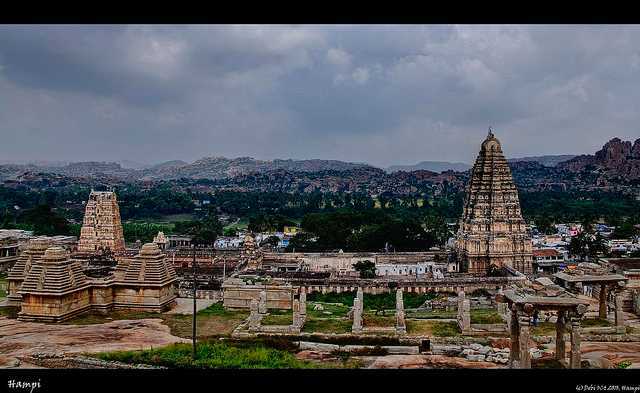 Spread across 25kms, once the capital of the prosperous kingdom of Vijaynagar, the ruins of Hampi are now the listed under the UNESCO World Heritage sites. 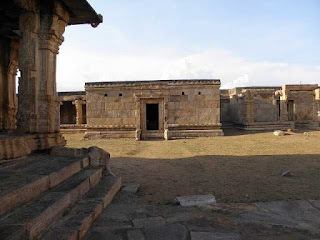 Sitting between hundreds or boulders and rocks, there are numerous famous temples such as Lakshmi Narsimha Temple, Vithala Temple, Achyut Raya temple among others, there are also the remains statutes, Royal enclosures, Queen’s Bath. 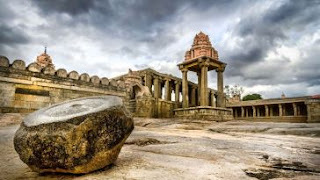 A minimum of three days are required to explore this vast land, however if you’re a history enthusiast, you may need more to thoroughly explore these magnificent ruins of Hampi. 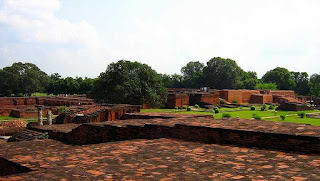 The ancient Nalanda University was the largest Buddhist learning centre in the world and was one of the wonders of India. Founded in the 5th Century by the Gupta Rulers, it attracted thousands of students from India and abroad and boasted of a 9 storeyed library. However, the University was destroyed by a Turk invader and has been in a state of ruins since then. It is a site of tourist attraction now, where numerous tourists come to see the present state of this once prominent historical university. The only World Heritage site in Gujarat, this Archaeological Park is full of temples, complexes, palaces, mosques, tombs, etc. 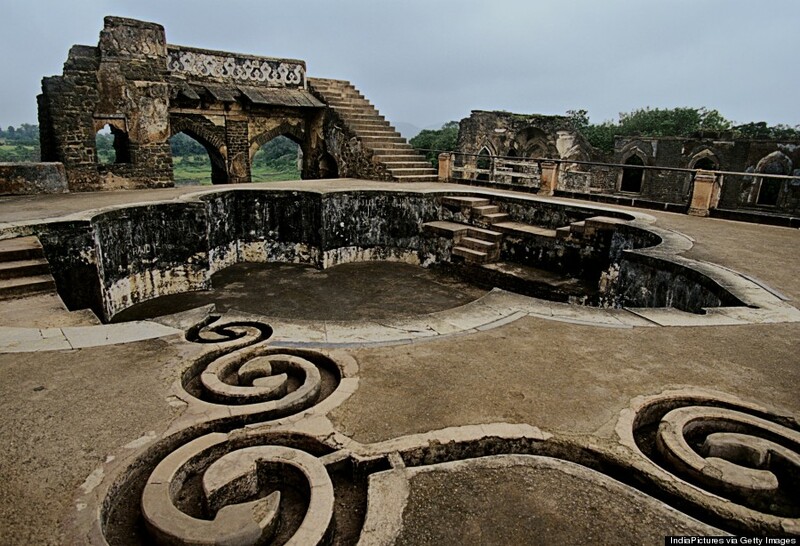 Located in the city of Champaner, it extends all the way to the Pavagadh hill station, housing some of the famous and religious important pilgrim sites. Apart from this, the splendid architecture of the forts, palaces, etc are a visual treat. You’re greeted with a magnificent fort walls complete with inscriptions and delicate carvings. One of the must see places here is the stone step well. 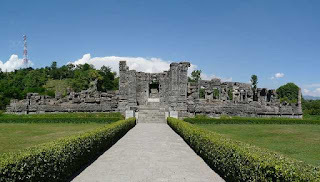 Located on a plateau in Anantnag, Jammu & Kashmir, Martand Sun Temple is dedicated to the Sun god built by the King of Karkota Dynasty in the early 8th century AD. 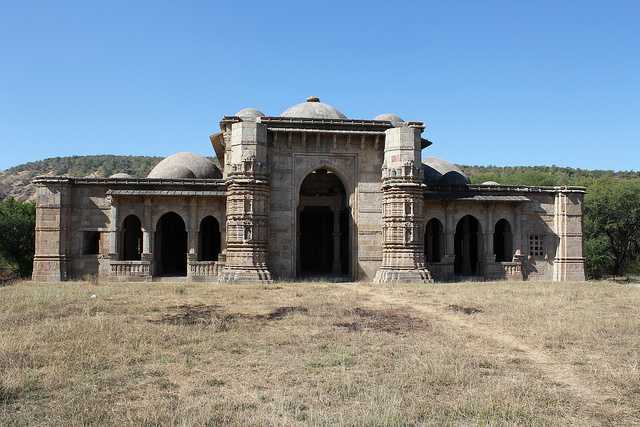 It was later destroyed in the 15th century by Sikandar Bhutshikan and has been in a state of ruins since. The placement of the Temple enables a panoramic view of the beautiful Kashmir Valley. From what is left of the structures, the architecture gives ode to the Kashmiri style slightly influenced by Gandharan, Chinese, Roman and Gupta style of architecture. The Shrine is situated in the centre while the remains of the other structures are scattered around the premise. The Martand Sun Temple is one of the important archaeological sites in India. 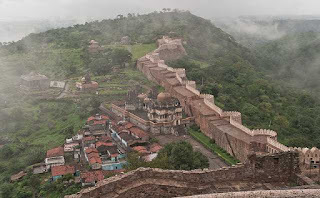 Built in the 15th century in the Mewar district of Rajasthan by Maharana Kumbha after whom the fort was named, Kumbhalgarh Fort is a massive fort sitting atop a high plane. Surrounded by a 36 metre long wall, it comprises of several gates, majestic watch towers, hidden chambers etc. The high surrounding wall is famously known as The Great Wall of India. It also comprises of an array of magnificent palaces and ancient temples in a state of ruins that dates back to the Mauryan period. 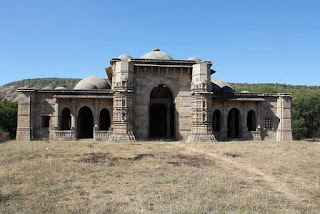 The Mauryan rule saw the construction of several Jain temples as a result of which, most of the temple ruins in Kumbhalgarh depict the Jain Temple architecture. The glorious 16th century fort overlooking the city of Hyderabad has changed many hands of power and become the large sprawling estate of ruins that still speaks of its grandeur and history of the many benevolent rulers who contributed to making the fort as it stands today. It started as a small mud fort eventually growing out to include four distinct forts, temples, mosques, gateways, bridges and stables. Displaying the architectural brilliance of innovative designs of those days, it is also an engineering marvel where a clap near the entrance dome could be heard at the highest point almost a kilometer away. A signal used to alert the castle in case of an attack. 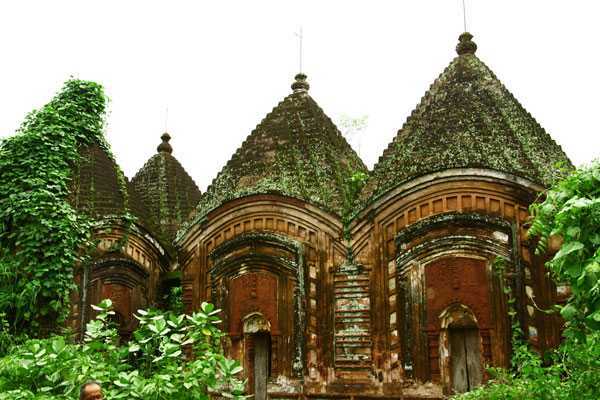 A small town in the pockets of Jharkhand, Maluti boasts of as many as 72 temples. Built as edifices to the Pala Dynasty rulers, the temple architecture depicts scenes from the great epics of Ramayana and Mahabharata. It is said that originally, 108 temples were constructed by the rulers who decided to build temples instead of palaces as a result Maluti came to be known as the temple town. However, after the fall of the dynasties, the later generations could not maintain all the 108 temples and 36 of which deteriorated and crumbled to ground. The existing temples are in a state of ruins because of lack of funds to undertake repair. Global Heritage Fund declared it to be one of the 12 worldwide sites nearest of irreparable loss. Boasting of 125 stone temples from the Chalukyan period of the 5th century C.E., Aihole situated in the Bagalkot district of Karnataka that showcases the peak period of the Chalukyan Dynasty. The temples most of which are in a state of ruins since centuries, still manage to exude the sense of awe to the visitors. 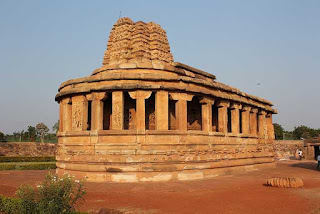 The architecture of these temples are particularly noteworthy, Aihole formed the basis of all Hindu Architecture which mainly comprised of flat roofs, intricately designed ceilings, sculptured walls, large extravagant centre pieces of gods and goddesses and some unique designs inspired by Deccan styles. 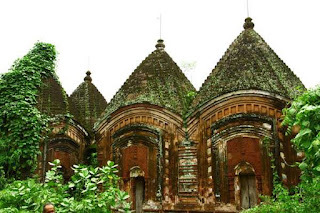 The Durga temple is one of the best known among these and offers a picturesque view while the Ravana Phadi Cave temple, in the most ruined state has some interesting carvings to explore. This quaint little village situated on the banks of the Pennar River, is home to some major historical structures. The old Gandikota Fort owes its name to the beautiful gorge formed by the Gandikota Hills and the Pennar River. The large 20 feet entrance gates welcome you into a bygone era of Kakakiya, Qutub Shahi, Vijanagara kingdoms. The fort premises include small fortresses, a granary, two beautiful temples and a splendid mosque. All of these ruins speak of their prime even as the structures seem to be on the verge of crumbling. The two temples Raghunatha and Madhavaray of the 15th and 16th century respectively stand as a testimony to the Kakatiya and Vijaynagara architecture. The Mosque called the Jama Masjid is another architectural delight here accompanied by a small pond which was used by the kings to wash their swords after wars. One cannot marvel enough at the architectural beauty, the meticulous planning of the structures, the engineering marvels and sheer charm of these nearly abandoned heritages of India. 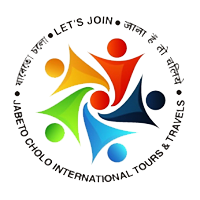 These places are probably the best options to visit for tourists if they are looking for offbeat heritage sites with a different story to tell.